Whilst Rotary has been around for over 100 years, for much of that time women were not eligible for membership. None-the-less, they participated actively as partners of members. Since the late 1980s, female membership has steadily grown with women undertaking active leadership and support roles alongside their male counterparts. 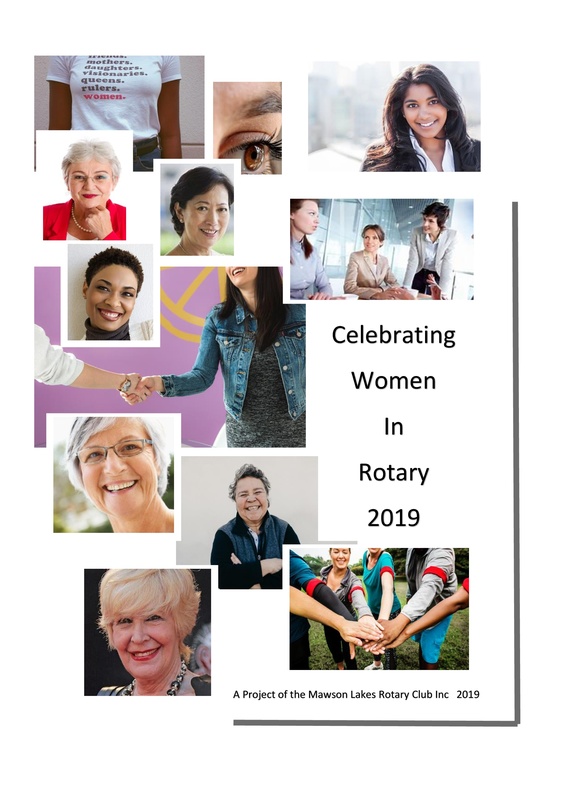 We want to know more about the achievements of our women, who they are and what their personal visions for Rotary are. We aim to publish their stories in celebration of the 30 year anniversary. We hope that the published products will be of broad interest to members and of valuable assistance in highlighting what Rotary does and aspires to do. We are setting up a reference group of club representatives from Districts 9500 and 9520 to advise and support Mawson Lakes Rotary. This group will help our club develop and market the project.